How to watch Gun City (2018) on Netflix Australia! Yes, Gun City is now available on Australian Netflix. It arrived for online streaming on October 31, 2018. We'll keep checking Netflix Australia for Gun City, and this page will be updated with any changes. 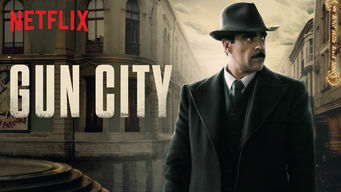 In 1921 Barcelona, amid unrest between anarchists and the police, a cop plays both sides to learn who stole army weapons that could ignite a civil war. Mobsters. Corrupt cops. Labor strikers. Women's rights protestors. Add a stolen arms shipment and you've got a ticking time bomb.